The huge 7.5-foot-tall faces of the Lovettsville Square Clock Tower are now in place. 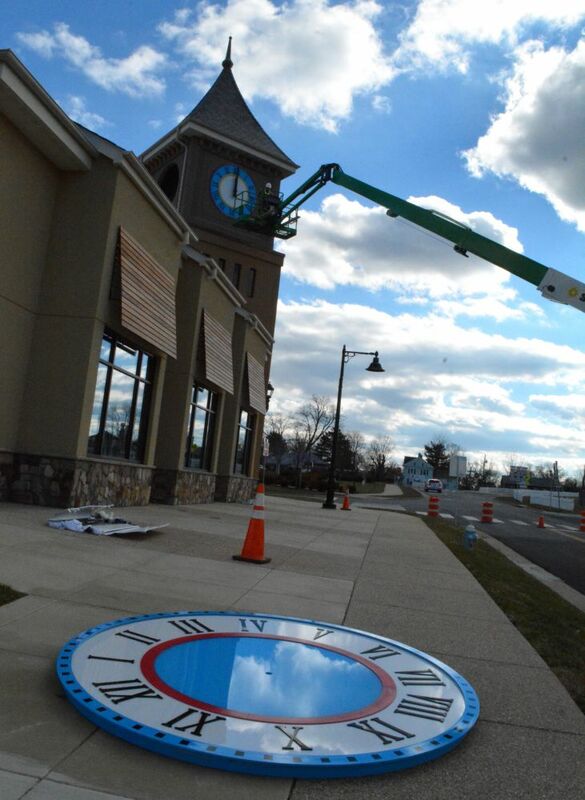 Crews from Christoph Paccard Bell Foundry, of South Carolina, installed the clock faces as part of the long-planned glockenspiel project that is intended to reflect the western Loudoun town’s German heritage. 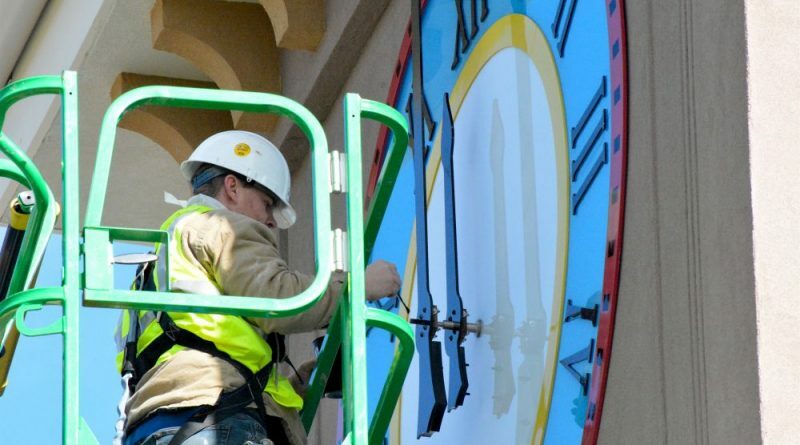 The Town Council authorized $53,000 for the clock work, including the cost of manufacturing shipping and installing the faces. The clock faces will be ceremonially lit at 7:30 p.m. Dec. 2 during the town’s Wintertainmentfest, which includes the Christmas tree lighting ceremony in Town Square. This is just the beginning of the project. Although still under design, the town hopes to add a working “cuckoo bird” that pops out as clock bells ring, as well as figurines that rotate as music is played.